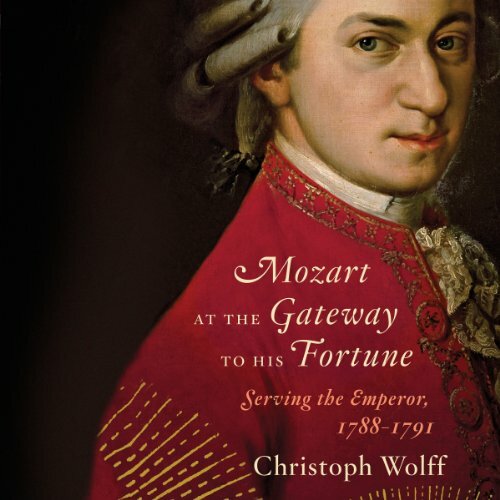 A fresh look at the life of Mozart during his imperial years by one of the world's leading Mozart scholars. "I now stand at the gateway to my fortune," Mozart wrote in a letter of 1790. He had entered into the service of Emperor Joseph II of Austria two years earlier as Imperial-Royal Chamber Composer - a salaried appointment with a distinguished title and few obligations. His extraordinary subsequent output, beginning with the three final great symphonies from the summer of 1788, invites a reassessment of this entire period of his life. Listeners will gain a new appreciation and understanding of the composer's works from that time without the usual emphasis on his imminent death. The author discusses the major biographical and musical implications of the royal appointment and explores Mozart's "imperial style" on the basis of his major compositions - keyboard,chamber, orchestral, operatic, and sacred - and focuses on the large, unfamiliar works he left incomplete. This new perspective points to an energetic, fresh beginning for the composer and a promising creative and financial future. ©2012 Christoph Wolff (P)2013 Audible, Inc.